Released more than 2 years ago, the Google Nexus 5 has seen the likes of Nexus 6, Nexus 6P as well as Nexus 5X come after it, but there is no doubt that this device is still a pretty solid performer. Even though the hardware it packs is nowhere near what 2016 flagship smartphones come with, the Nexus 5 still tops the list of the best smartphones out there for some people. This device is among the few Google Nexus smartphones and tablets that have been excluded from beta testing the upcoming Android N, however, it can still be upgraded to Android 6.0.1 Marshmallow. This device was recently the subject of an attempt to amp the available onboard memory storage, an indicator that it is still a favorite for many out there. If you still feel that the Google Nexus 5 is still a solid phone worth buying, there is no better time. Daily Steals is offering a Google-certified refurbished version of this phone at a price of just $140. As mentioned earlier, this device doesn’t have the hardware power to match the current flagships, but still, it was 2013’s Google smartphone flagship. One thing you need to note is that this device is available on a limited offer that is still valid for the next two days. Furthermore, Daily Steals is only having North American customers in mind thanks to the fact that it is selling the D820 model. However, this doesn’t mean the device won’t work in other regions, but it might miss some bands that are probably available in these international networks. 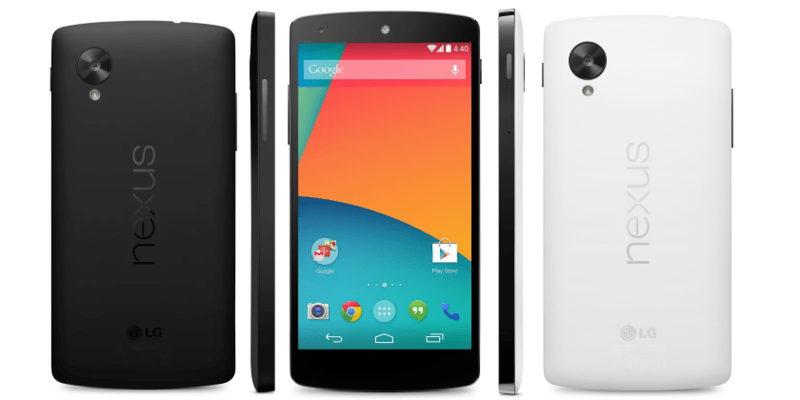 The Google Nexus 5 was released in October 2013. Being the company’s flagship phone, it packed the then flagship specs that include a Snapdragon 800 SoC, 2GB RAM as well as 32GB of onboard storage. As far as the display is concerned, the Nexus 5 packs a decent 5-inch screen with 1080p resolution, an 8MP rear snapper, and a capable 1.3MP selfie camera. To keep you going, the search engine giant packed a 2300mAh battery unit, which can manage a full day with moderated use. This is a cool phone for anyone looking to get a cheap, solid performing phone that tops the list when it comes to receiving Android software updates as well as monthly security bulletins. Of course, there is always the option of getting a Google Nexus 5X if affordability and solid performance are still your key factors, but this will set you back somewhere in the regions of $275.